Tappan Zee Bridge Structural Steel and Fender Repairs – KC Engineering and Land Surveying, P.C. 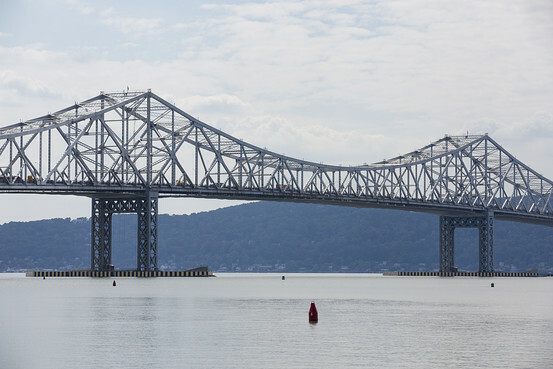 KC was responsible for the resident engineering and construction inspection of a pier protection system for this cantilever truss bridge crossing the Hudson River. The system consisted of pile-supported platforms, which were installed at the bridge’s main towers. The steel towers were de-leaded using Class A Containment and repainted. KC performed a condition inspection of the sand-blasted steel prior to painting.